The papers were donated to the University Archives by Mrs. Dorrice R. Morrow in November 1973 (accession number 1973: 88). The Glenn Raymond Morrow Papers are organized into one series, Correspondence, which is further organized into five sub-series, Academic Career, Letters of Recommendations, Organizations, Personal, and Writings. All original folder titles have been preserved. The papers are arranged alphabetically, with the exception of the Academic Career sub-series which is arranged chronologically. Glenn Raymond Morrow was born on April 29, 1895 in Calhoun, Missouri to Charles Sumner Morrow (1868-1955) and Bessie Bronaugh Morrow (1872-1955). After attending local elementary and high schools, Morrow matriculated to Westminster College in Fulton, Missouri, where he earned a B.A. in 1914. He then went on to earn a M.A. from the University of Missouri in 1919, and a Ph.D. from Cornell University in 1921. Morrow was a lifelong scholar of Greek philosophy, and his teaching career in this subject began in 1914 as an instructor in Greek at Westminster College. After a brief stint in the United States Army 1918-19, where he achieved the rank of Second Lieutenant, Morrow received a fellowship from the American Field Service and studied abroad in Paris, France 1921-22. Returning to the States, Morrow resumed teaching as a Lecturer in Philosophy at Cornell University 1922-23. He then moved on to the University of Missouri as an Assistant Professor of Philosophy, and was later promoted to Associate Professor. In 1929 Morrow left Missouri to take a position as Professor of Philosophy at the University of Illinois, where he would remain for the next ten years, except for a sabbatical during the academic year 1933-34 to study in Munich, Germany and Vienna, Austria. Morrow joined the faculty of the University of Pennsylvania in 1939 as a Professor of Philosophy. At the University’s commencement exercises in June 1944, Morrow had the honor of delivering the commencement address. Also in 1944, he was elected Dean of the College of Arts and Sciences, the first Midwesterner to hold this office. 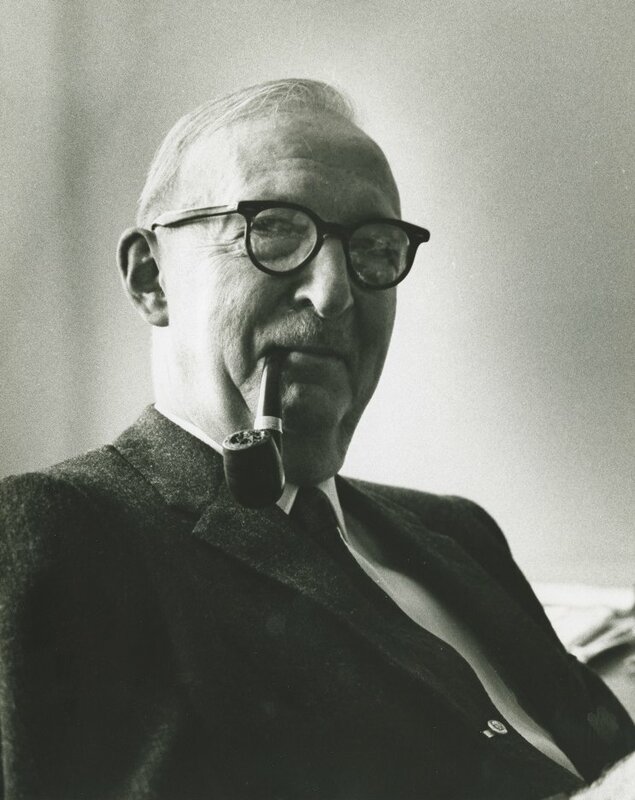 Morrow resigned as dean (but kept his position as professor) in 1952 when he was awarded a fellowship from the Guggenheim Foundation which allowed him to spend the 1952-53 academic year studying Greek legislative and political traditions in Athens, Greece. A great believer in the benefit of faculty participation in university governance, Morrow was one of the founding members of the Faculty Senate, and served as the Senate’s chair in 1958-59. When Morrow retired in 1965, he was named Professor Emeritus of Moral and Intellectual Philosophy. Morrow maintained an active life outside the university setting as well. A member of the American Philosophical Association, he served as president of the Western Division 1939-40, and the Eastern Division 1953-54, was the Association’s delegate to the American Council of Learned Societies 1939-40, and was chairman of the National Board 1953-56. He was also a member of the Council of the American Association of University Professors. Morrow authored many books during his lifetime, his more well-known works being Studies in the Platonic Epistles (1935), Plato’s Law of Slavery in its Relation to Greek Law (1939), and Plato’s Cretan City: A Historical Commentary on Plato’s Laws (1960). Glenn Raymond Morrow died on January 31, 1973 at his home in Swarthmore, Pennsylvania. He was survived by his wife of fifty years, Dorrice Morrow (1899-1979, nee Richards), a sister, Helen Leona Morrow (1897-1983, Mrs. Royal B. Tracy), and brother, Robert Bronaugh Morrow (1907-1974). The Glenn Raymond Morrow Papers primarily document Morrow’s academic career, research work, and professional interests from 1935 to 1965. This documentation exists nearly entirely in the form of correspondence. Morrow’s lifelong interest in ancient Greek political traditions, specifically Plato’s Theory of Laws, is represented in the form of correspondence with colleagues, other scholars, and publishers regarding the many books and articles Morrow published. As a member of several intellectual groups and societies, Morrow maintained a healthy correspondence with his fellow members. The papers also contain a smaller amount correspondence that is of a personal nature, which usually regarded social activities that often involved his wife Dorrice, and copies of letters of recommendations Morrow wrote for students and colleagues. Aristotle’s Method of Finding Dexai in the Physics, n.d.
Plato and the Mathematicians, n.d.
Plato’s Conception of Persuasion, n.d.
Plato’s Theory of the Primary Bodies, n.d.